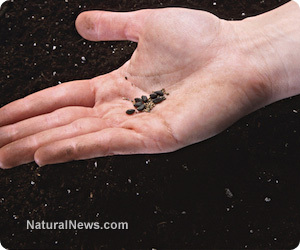 (NaturalNews) Who would guess that a tiny black seed could help heal cancer, calm epilepsy and decrease insulin resistance? In fact, Nigella sativa is known as the "seed of blessing," providing natural relief to a wide variety of illness and chronic disease. Remarkable in its ability to rebalance health, this time honored plant is experiencing a modern resurgence in popularity - and for good reason. Type 2 diabetes - In animal tests, glucose tolerance and body weight improved when aqueous extracts of the seed were administered orally. Researchers found the extract inhibited intestinal absorption of sugar which in turn reduced blood glucose. Cancer - Rich in thymoquinone, beta-elemene and beta-sitosterol, the oil of black seed is a fierce anti-cancer agent. It protects against oxidative stress, induces cancer cell death and enhances immunity. Several studies have shown it to be effective against pancreatic, colon and breast cancer. Epilepsy - A study of 23 children revealed the effectiveness of the seed in reducing the frequency of seizures. During the four week investigation, participants received either a placebo or black seed extract. Those who were given Nigella sativa experienced a significant reduction in refractory seizures. Additionally, Nigella sativa soothes high blood pressure, asthma, ulcers, and acute sore throat and protects against MRSA infections. Moreover, it nourishes the body and assists in curbing fatigue; quiets skin conditions like eczema, acne and psoriasis; and treats dysentery, diarrhea, constipation and other digestive disorders. If you think Nigella sativa is a miracle seed, you just might be right. With such a profusion of ailments that respond to the plant, it truly is an outstanding natural remedy.